New White House Website Launched! The new White House website is beautiful. Until a more in-depth analysis of the website is available, here are some screenshots and images. Read my White House website’s design predictions, and subscribe to my RSS feed to keep updated! 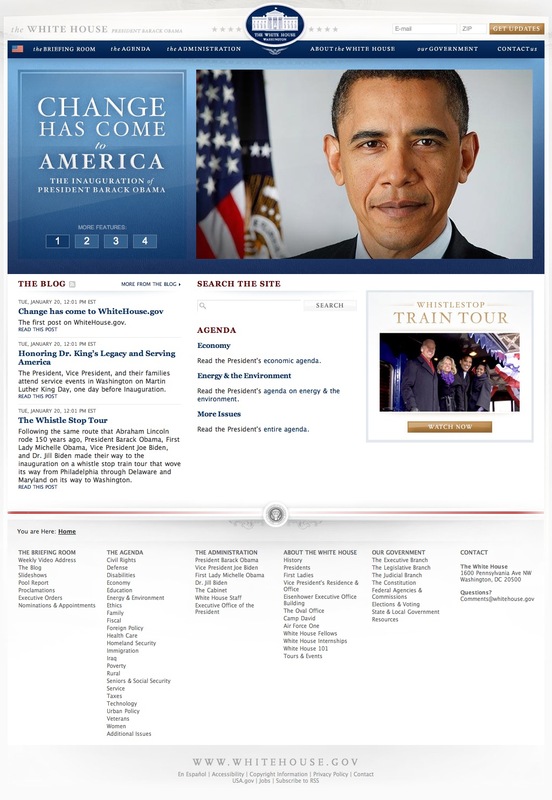 Author Zack KatzPosted on January 20, 2009 Categories DesignTags Obama, Obama Web Design, Obama Web Designer, Obama Website, White House web designer, White House Web Site, White House Website, WhiteHouse.gov, WhiteHouse.gov Redesign, Whitehouse.gov web designer6 Comments on New White House Website Launched!